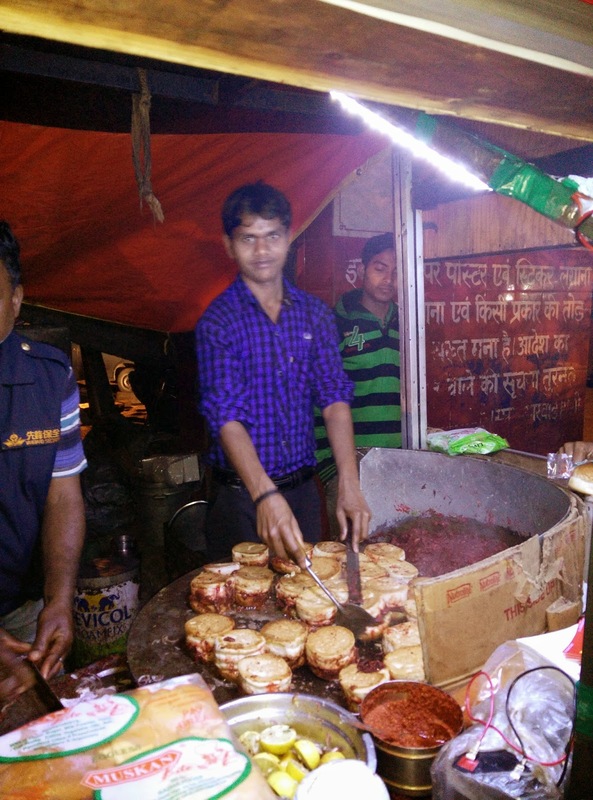 In India, locating a cocktail sausage hotdog vendor is quite rare. The normal hotdogs being a gastronomic barrier for vegetarians, the concept of hotdog is quite nicely Indianised with the addition of green chutney, tomato chutney and veggies in place of the sausage. This is the version which is abundantly available all across here. Special Hot Dog takes it an inch higher by calling their burgers hotdogs but as they say in foodie lingo - name is temporary, taste is permanent. 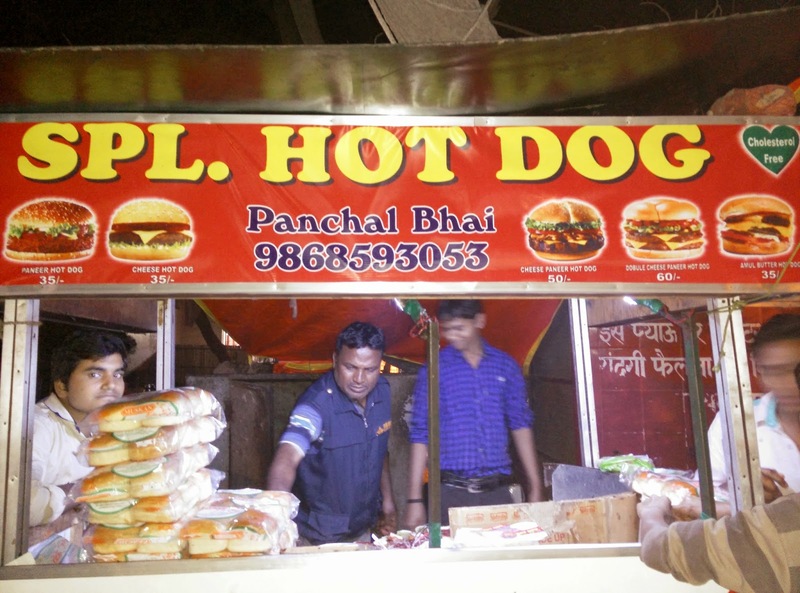 Located in Kavi Nagar near the Ram Leela Ground, Panchal Bhai’s Hot Dog is a must have for all the street food fanatics. The hot dog is basically a burger with the patty comprising of a thick paste of potato, beetroot, cauliflower etc. along with some secret spices which the guy behind the stove refused to tell me. He smothers both sides of the bun with Green Coriander Chutney and Red Tamarind Sauce which is more on the sweeter side than tangy. 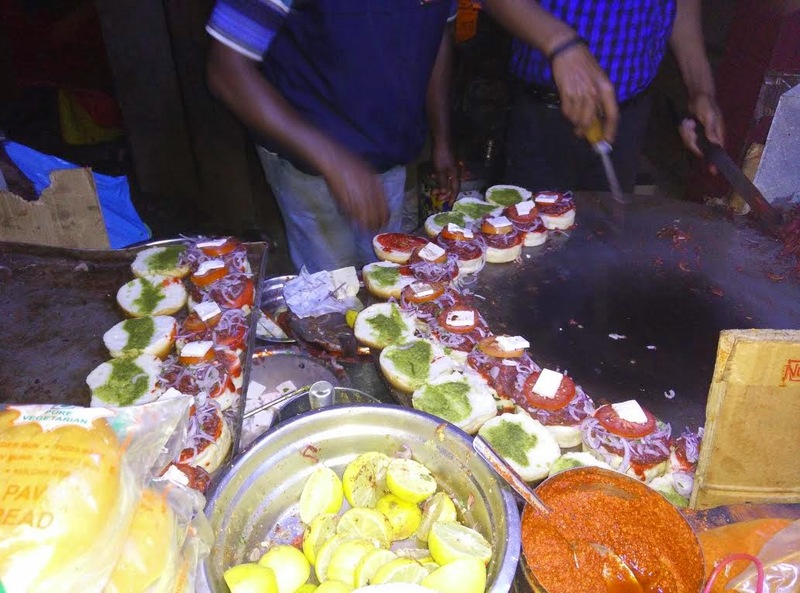 Then he adds some of that thick paste with some sliced onions and tomatoes along with topping of your choice which includes paneer, cheese, green chillies etc. The assembled burgers are then shallow fried in loads of butter, and the guy doing this is a wizard as he cooks around 20-30 of these burgers in one go without burning even a single hot dog. The first bite will confuse you to the core as to what have you eaten but then it will grow on you and you will end up having one more. It has a sweet and spicy taste with thick potato paste oozing out on each bite. The buns are crispy on the outside while the inside remains soft, and with the burst of flavours this dish is a roller coaster ride in itself. 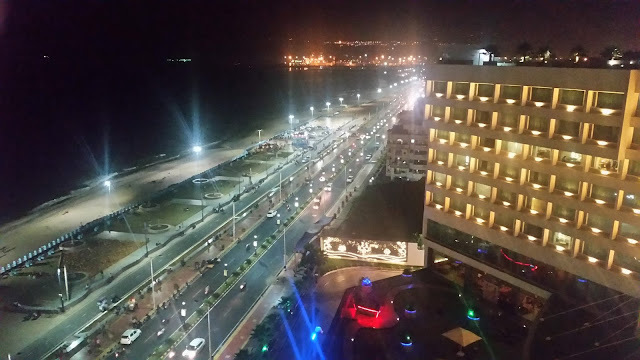 You have a lot of options from Simple Butter to Paneer and Cheese and you can also ask him to put everything double for a very minimal fare. The burgers are soul satisfying; not to be compared with McDonalds or Burger King but is an excellent street food option. You will be able to find these stalls in mostly all places near Kavi Nagar and Sanjay Nagar, Ghaziabad.